We just returned from a 1/2 way to Cleveland, Shaklee Masters Advisory Board Growth Summit at Shaklee HQ and there are plenty of reasons that were discussed from the people who are designing it about why you should consider attending Shaklee Live this summer in Cleveland. And the biggest reason being: it’s all about celebrating 100 years of YOU. And us. And what everyone in Shaklee has accomplished in the world together, starting with Dr. Shaklee and his creation of the 1st multivitamin product called Vitalized Minerals. It’s 100 years of innovation and 100 years of success. 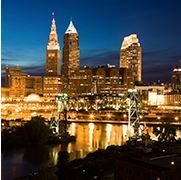 “We’re a little over 25 weeks away from Shaklee Live in Cleveland and we can’t wait! We’re so excited to show you all that we have planned to help you grow – new products, tools and fresh insights that will propel your business forward. Prepare for many exciting announcements coming soon! But do you know what we’re most excited about? Celebrating you. That’s right…you are the Shaklee Effect™ we’re celebrating this August. Your compassion for people and the planet. Your integrity. And that never-give-up spirit. We want to shine a light on you – the thousands of moms and dads, college students and corporate refugees, educators and fitness professionals who are spreading the word, sharing health and touching millions of lives along the way. Be there to add your unique story to rich legacy we’ve created together. Join us as we celebrate the special milestone of 100 years of Dr. Shaklee’s invention of Vitalized Minerals. But make no doubt; our focus will also be on YOU, and the next 100 years of your legacy. We see you leading a movement towards greater health and economic freedom, as you realize exciting new dreams for your own life and invite others to do the same. So join us this August in Cleveland as we celebrate all that you are, and all that you will become.